Team Atomica coaching and consulting began in 2009 under the guidance of Ayesha Rollinson. The club now boasts almost 200 members! With seven masters swim groups and almost daily group cycling and running sessions on offer, Team Atomica is one of the largest and most dynamic endurance based clubs in the GTA. Join our wide range of organized swim practices to advance your skills and performance in the water. Athletes of all abilities will benefit from training in a group setting and working together to achieve their goals. Our top level coaches offer expert biomechanical analysis and swim stoke feedback along with the most current training theories and techniques. 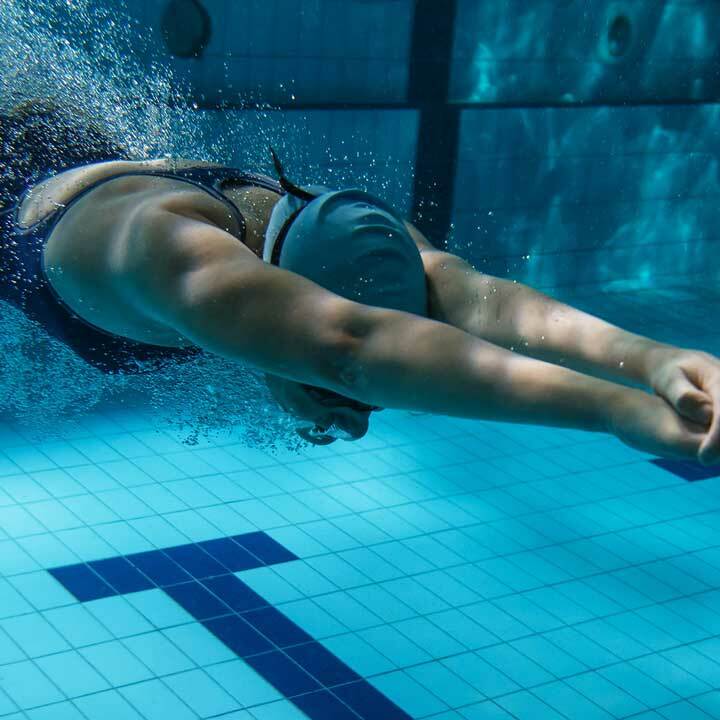 Whether you want to improve you starts, turns, or dives, drop your Ironman swim split, or simply want to boost your fitness, TAMSG will help you up your game. Team Atomica indoor cycling at the Trek Store. 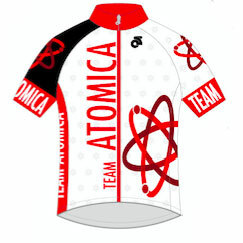 Signups have started for Team Atomica’s very popular indoor cycling. October 20th 2016 to March 31st 2017. Register Now! Team Atomica’s triathlon coaches have provided optimized personal programming for numerous athletes. 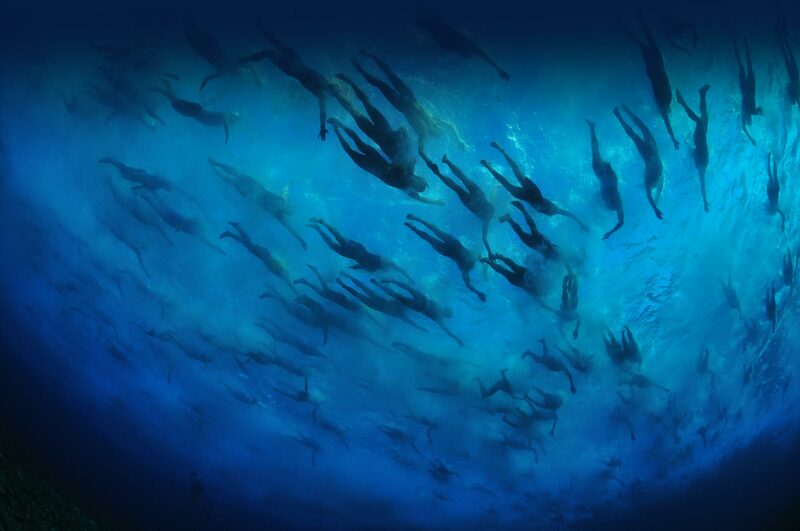 Clients have ranged from beginners with no swim experience, to seasoned pros who are looking to squeeze out a few more watts for their upcoming Ironman triathlon. 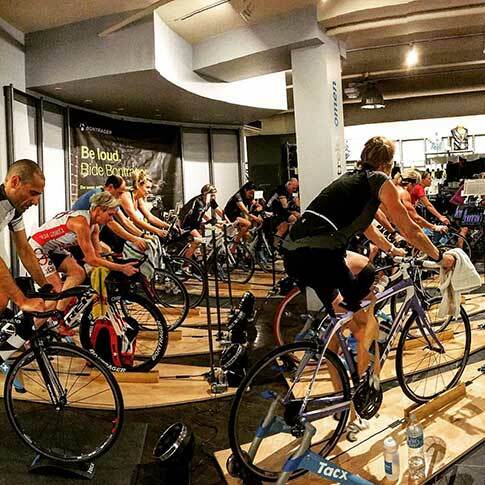 Join winter’s cycling program at the Trek Store on Yonge. We would love to hear from you. Please enter your info and your message here, and we’ll contact you promptly!